Whether you're a burgeoning foodie or just love to eat, you're in luck! 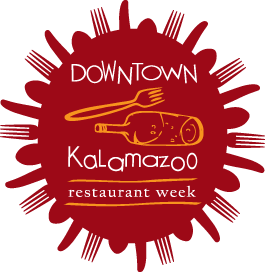 Downtown Kalamazoo Winter Restaurant Week is here and it's the perfect time to come and sample from each participating restaurants' best. Downtown Kalamazoo Restaurant Week allows restaurants to highlight what makes them truly special. And with a price fix menu at $10, $25 or $35, why not come try a few?! You'll experience more innovative food and drink pairings, lunch specials for you, three course specials for 2, and the chance to "hop" from place to place with the $10 price fix. New this year, check out our website for how to enter for a chance to win "Dinner in Downtown" every month for a year! Menus are available online the week before the fun kicks off, so come back, check out all of the offerings and we'll see you Downtown.